Mine would be 71-72 OPC...rookie selection...love the funky colors. I have a couple dozen of the 72-73 OPC set that somehow made it past my mother's cleaning skills so I'd have to say those are currently my favorites. Beehives, which my Father gave me, are unique and special, but with me currently lacking so many (100's) to complete the set, I don't even try. I am not a big fan of the 71-72 OPC set, but I just love the 71-72 Topps series! Yes, I am poking fun at the fact that each set from this decade also has a Topps version. 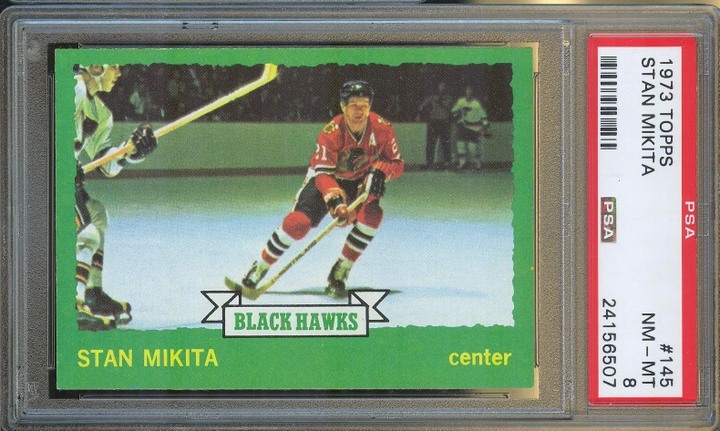 This is the biggest reason why I never cared about hockey cards from this period. Always looking to buy or trade for vintage hockey, soccer, boxing and non-sports. That's interesting. I guess I would have felt the same if the sets were identical, but with the OPC sets being larger and including more players, for an obviously bigger hockey market than the US, I didn't really mind the extra sets. As far as favorite set, I like the 70/71 OPC set and way in the minority here with liking the 74/75 set, OPC or Topps. the 71-72 are my favorite, and the 73-74 the least favorite (these are so poorly made!). love the colors of 71-72. the 70-71 are nice too, maybe the second favorites. the later sets in the 70's are a little dull. 72-73 OPC high number WHA cards. Very cool design and fantastic, colorful 'Year 1' uniforms of the LA Sharks, New York Raiders, Ottawa Nationals, Alberta Oilers, Winnipeg Jets, Chicago Cougars, Philadelphia Blazers, Houston Aeros, New England Whalers, Minnesota Fighting Saints, Cleveland Crusaders and Quebec Nordiques make this a truly iconic series. I have some of those, including the Gerry Pinder card but mine are in less than stellar shape, unfortunately. I just checked them to scan them but I realized I removed some of them from my sleeves/binder for some reason and I couldn't tell you where they are? Here's the only 2 I have left in my binder. I am unsure why I didn't remove these ones also? Of the approx 60+ cards I have of this set, these are my only Orr's unfortunately. Last edited by irv; 06-04-2018 at 07:25 AM. 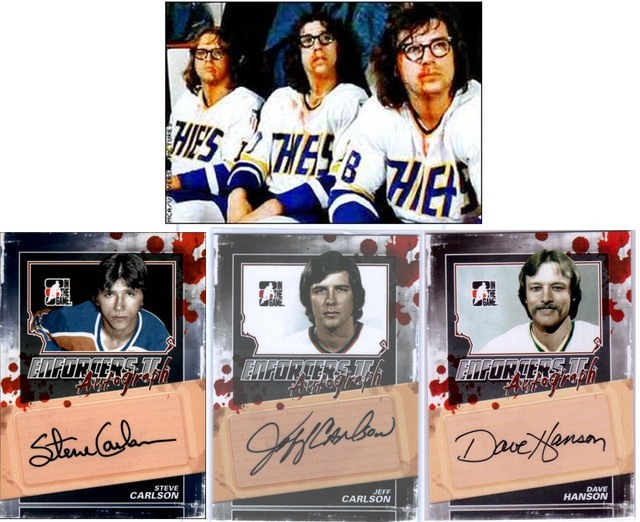 While I'm on the topic of hockey cards (sorry to hijack) I came across these that I somehow remember doing this to them. I am unsure why I did but I assume I was just being a kid and thought this was a good idea at the time? I would say either 1973 or 1977 OPC. 76-77 has a really sharp design, I always liked that set. Overall, including design and player selection, I would also say 71-72, three big rookies are in it: Lafleur, Dryden and Dionne. Excellent people to deal with: Baseball*Collectibles, obcmac, marcdelpercio, Michael Peich, dougscats, jimivintage, trobba, mybuddyinc, Luke, btcarfagno, Bocabirdman, npa589, ncinin. 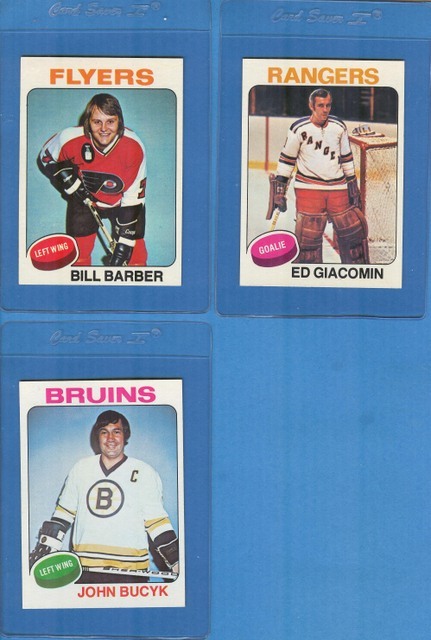 I love 74-75 OPC WHA - really like "The Howes"
I found my other WHA cards and some others I thought were gone. I searched high and low for them but honestly thought they were gone for good. My wife was doing a major cleaning/reorganizing and of course, found them. I completely forgot about the WHAs. Nothing screams "Seventies" like the OPC WHA issues.